This book is a reference for professionals and students interested in prime numbers and encryption, cryptography, factoring algorithms, elliptic curve arithmetic, and many more computational issues related to primes and factoring. The text focuses on the computational aspects of finding, testing, and characterizing prime numbers, and discusses theoretically interesting, aesthetic and practical aspects of primes. The text provides theoretical explanations for the practical power of the computational algorithms, along with detailed pseudocode and exercises are designed to keep students engaged and interested. 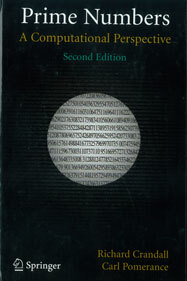 This second edition provides updated material on theoretical, computational, and algorithmic fronts.